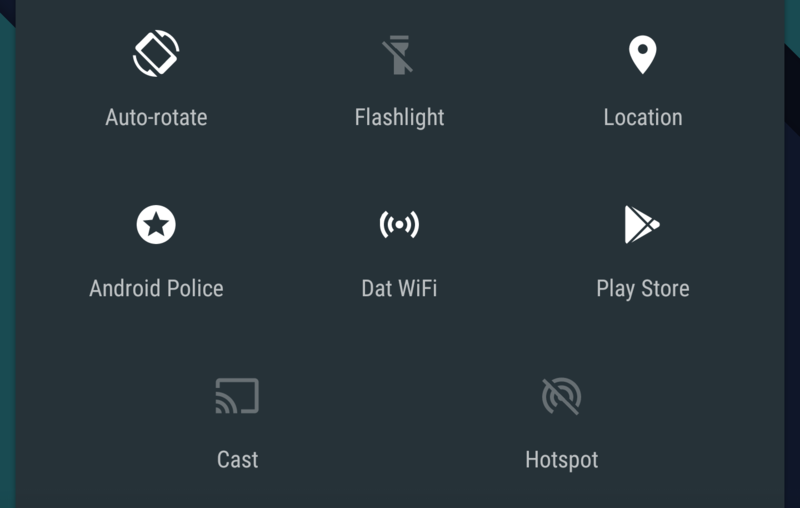 Android 6.0 has a lot of cool features, most of which are enabled out of the box. You don't have to go turn on doze mode or app backups, but the system UI tuner is another story. You might not even know it's there without being told. 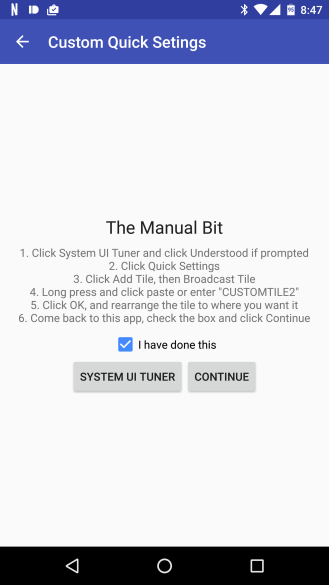 Once it's enabled, you can make tweaks to the system UI elements that weren't possible in earlier versions of Android. 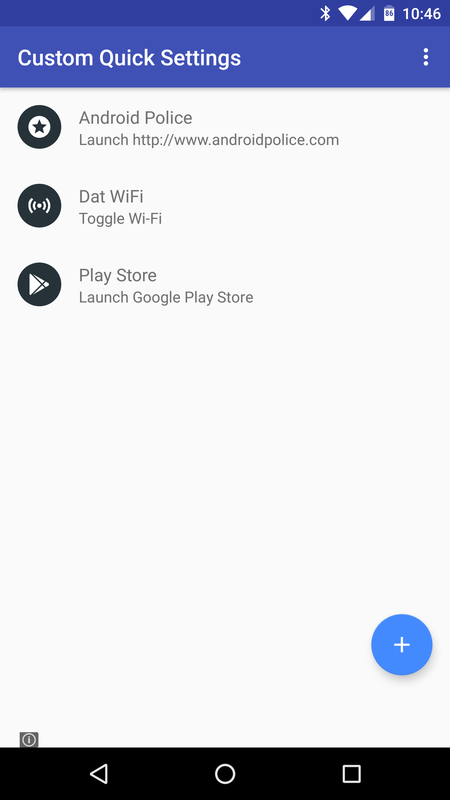 Now, an app called Custom Quick Settings is on the scene to take advantage of the UI tuner. Using this app, you can create your own quick settings tiles that open apps, toggle settings, and launch websites. And before you ask, no it doesn't require root access. 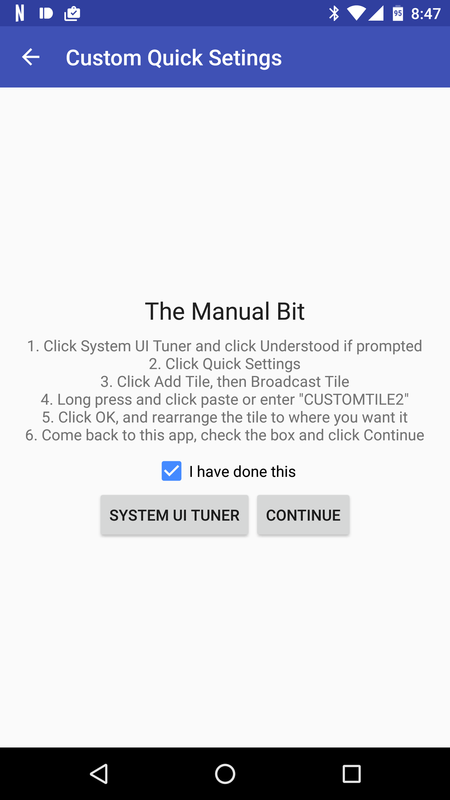 First things first—you need to turn on the system UI tuner in Android 6.0. If you're on any earlier version of the platform, it won't work. It can be enabled by long-pressing the settings shortcut in the notification shade until it spins. This adds an item for the UI tuner to the main system settings, but you don't need to worry about that for the time being. 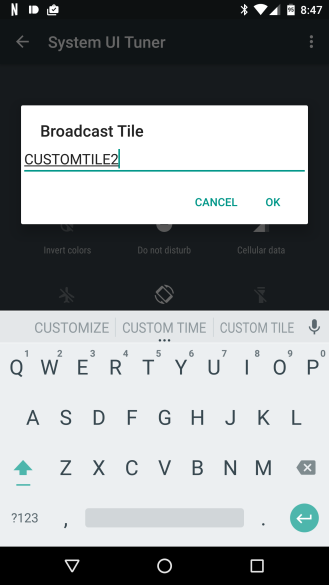 Custom Quick Settings will handle most of the hard work for you. 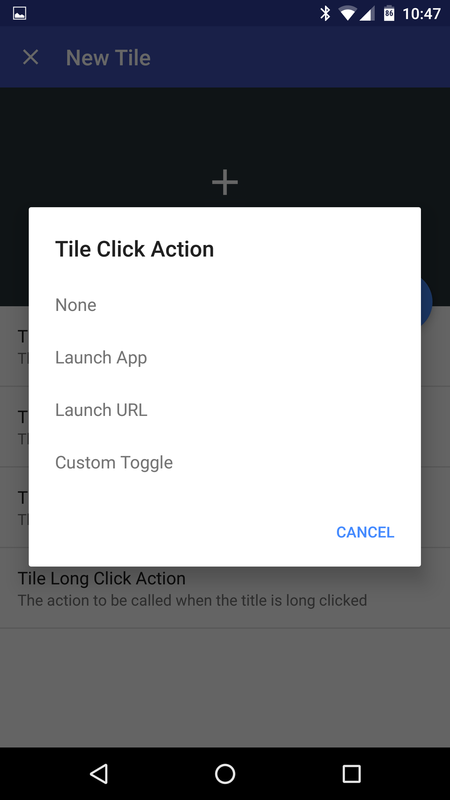 After installing the app, which is free with ads and an in-app purchase to remove them, you can create a new quick settings tile in a few steps. Tap the plus button in the app, then follow the instructions to create a placeholder tile. It links you to the UI tuner where you'll create a broadcast tile and call it "CUSTOMTILEx," where x is how many tiles you've created through the app. Then you get to the fun part of choosing what the tile does. Custom Quick Settings can make a settings toggle, URL shortcut, or app shortcut. 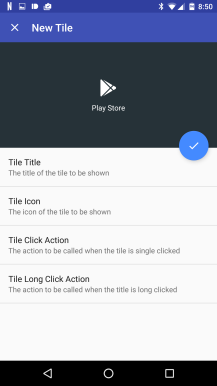 Each tile can also have custom text, an icon, and long-press action. As with everything in the Marshmallow quick settings, you can move it around wherever you want in the list. I've used the app to create a variety of tiles using a Nexus 6P as a test device. 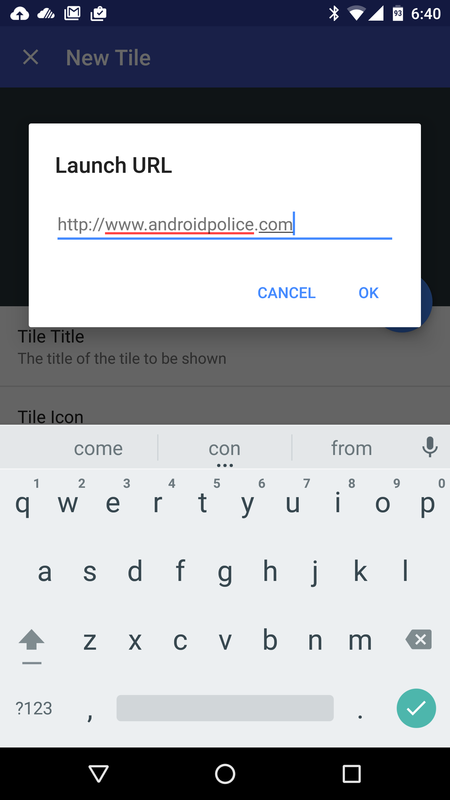 The URL ones work great—I have a tile that launches Android Police when I tap it and APK Mirror when I long-press. My only annoyance here is that the app only lets you add an icon from its included list. It's a big list admittedly, but I wish it supported external images. Maybe that's possible, but it's not included in the first release. App shortcuts are potentially quite useful as well. 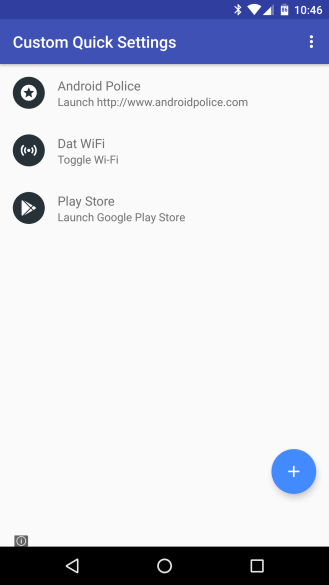 I added one that opens the Play Store, which I find myself doing quite often. Now it's in the quick settings at all times. You could also create a more general tile for, say, music and assign different apps to a tap and long-press. The custom settings toggles are interesting, but pretty limited. You can only choose from things like Bluetooth, Wi-Fi, hotspot, and so on. Basically, they're all things you can add natively from the UI tuner. This might be cool if you want to use a custom label or a different icon, though. 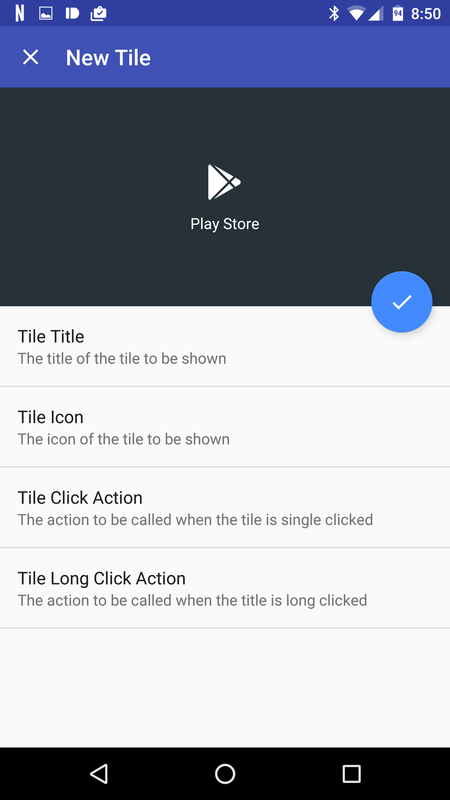 The usefulness of Custom Quick Settings is improved by the option to mix and match the actions of a single tile. You could have it open an app with a tap, but call up a website with a long-press. 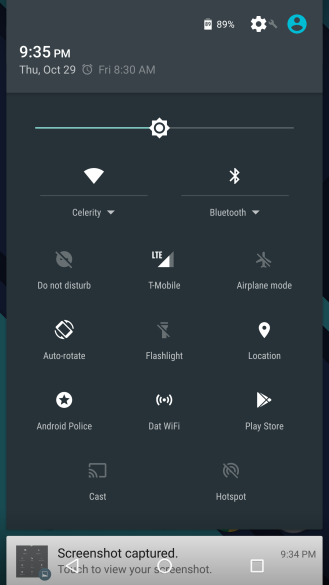 An important limitation is that the custom toggles don't work from the secure lock screen. This shouldn't come as a surprise, but you will still have to unlock your phone to use one of these to open an app or website. The ads in the free version of the app are annoying. There's a persistent banner at the bottom, and if you leave the app and come back, there will be a full-screen (sometimes animated) ad to greet you. Luckily, it's only about $1.50 to remove the ads. It's really cool that you can do all this in Marshmallow without mucking around with root, and it's going to be cool to see what else people do with the UI tuner. Well, assuming Google doesn't remove it later.